Amity Gaige's essays, articles, and stories have appeared in various publications, including the Yale Review, Los Angeles Times, O Magazine, The Literary Review, One Story and in a 2009 collection of essays, Feed Me (Random House). She is the recipient of a Fulbright Fellowship, a McDowell Colony Fellowship, and a Baltic Writing Residency Fellowship, and is currently the Visiting Writer at Amherst College. She lives in Amherst, Massachusetts, with her family. "Amity Gaige has written a flawless book. It does not contain a single false note. 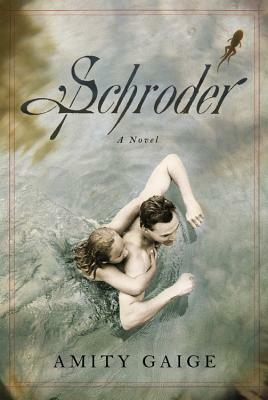 Playful and inventive, SCHRODER movingly depicts the ways we confound our own hearts--how even with the best intentions, we fail to love those closest to us as well as we wish we could. Eric Schroder should take his place among the most charismatic and memorable characters in contemporary fiction, and Amity Gaige her place among the most talented and impressive writers working today."